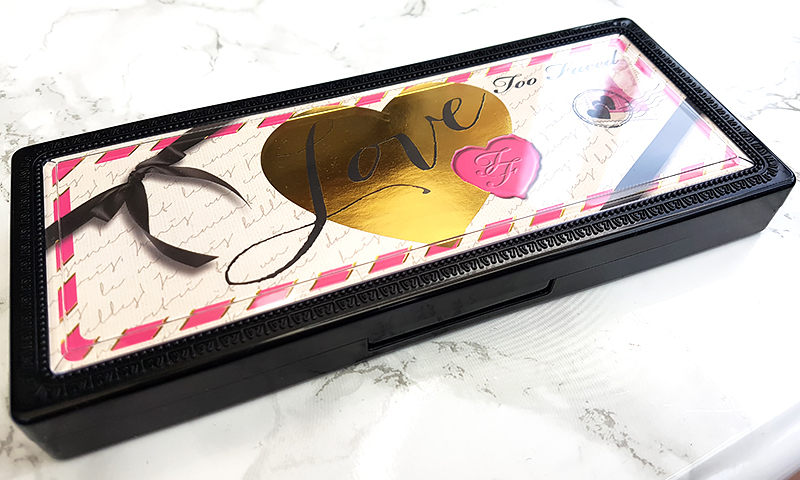 The packaging is pretty chunky and sturdy; with a lovely, vintage-themed case, which makes it look a little like a romantic postcard. The palette includes fifteen shades in shimmer, pearl and matte finishes; as well as a waterproof Perfect Eyes black eyeliner. 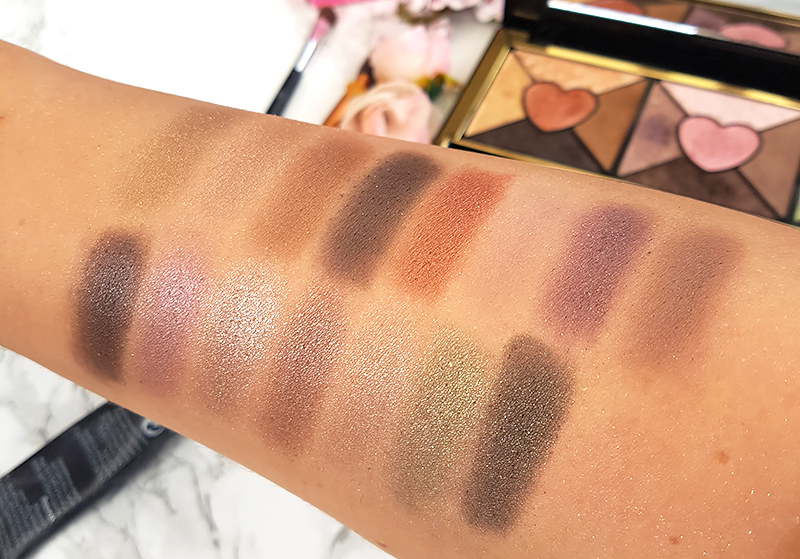 The eyeshadows look gorgeous in the packaging - there appears to be a nice, versatile selection of shades included; with lots of pretty neutrals and some interesting golden and pink shades. 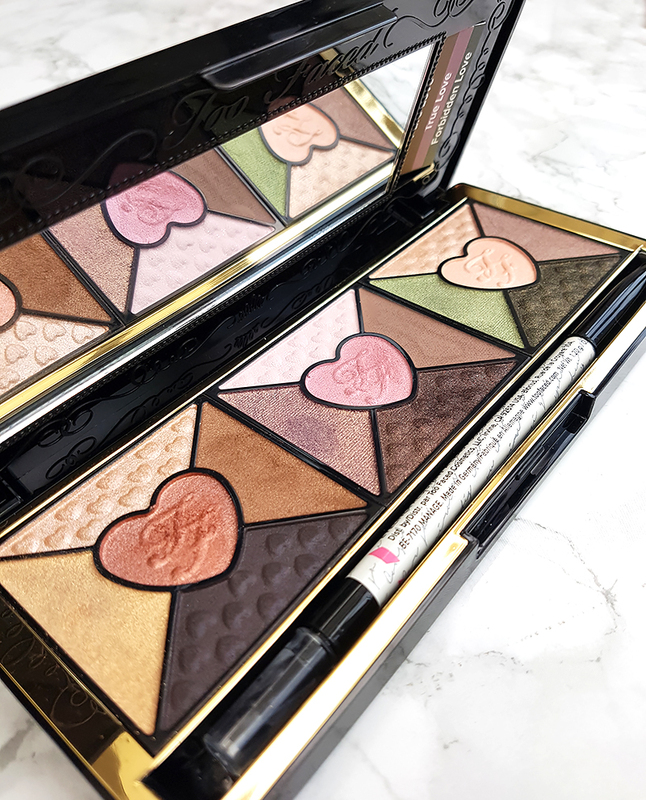 When it comes to the formula, the pearls and shimmers are a win - the eyeshadows have a creamy, velvety texture, and are incredibly easy to blend. There is a little bit of fallout when applying some of the darker shades, but the overall quality is great. The pigmentation is decent - they might not be the most intense colours, but they're vibrant enough; especially if you're after something casual and easy to work with. I especially like the five warm, bronze shades on the left, and those are the ones I have been reaching for the most. Having said all that, I wasn't overly impressed with the mattes, and found them to be a little dry, chalky, and not as easy to work with as the shimmers. The lasting power is pretty good even without any primer - the eyeshadows last for about six to seven hours before they begin to crease and smudge. As for the eyeliner pencil, it is very black so I'd definitely recommend to apply it carefully and with a light hand. It is very dramatic and a little harsh, but it doesn't smudge and lasts all day once applied. Swatches of all 15 shades without a primer. Overall, I think that for £15, this is a fantastic purchase, and I'd urge everyone to go and check out their local TK Maxx to see if you can pick one up. The shade range is lovely and versatile, and I like how easy the formula is to work with (except for the mattes, which are more on the chalky side). 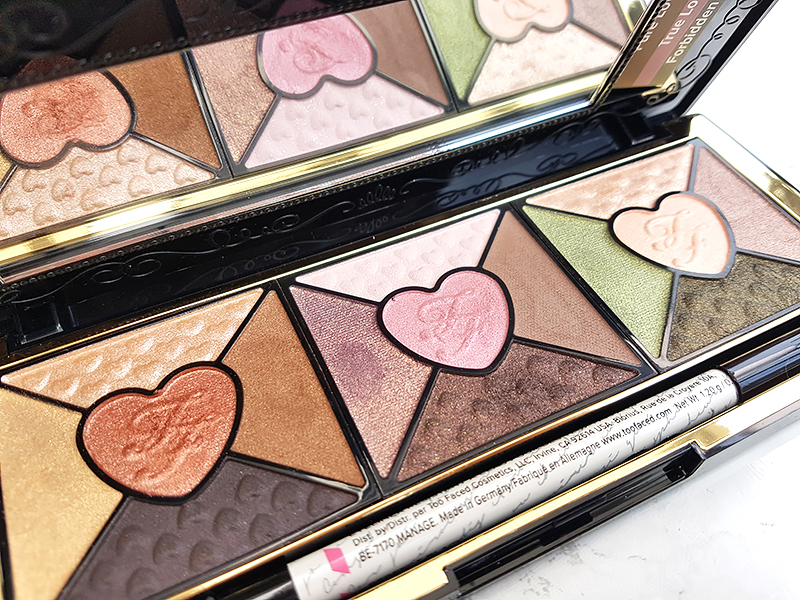 I don't think I'd be willing to pay the full £40 for this palette, but for £15, I think that it's a great bargain and something I can see myself using on a regular basis.